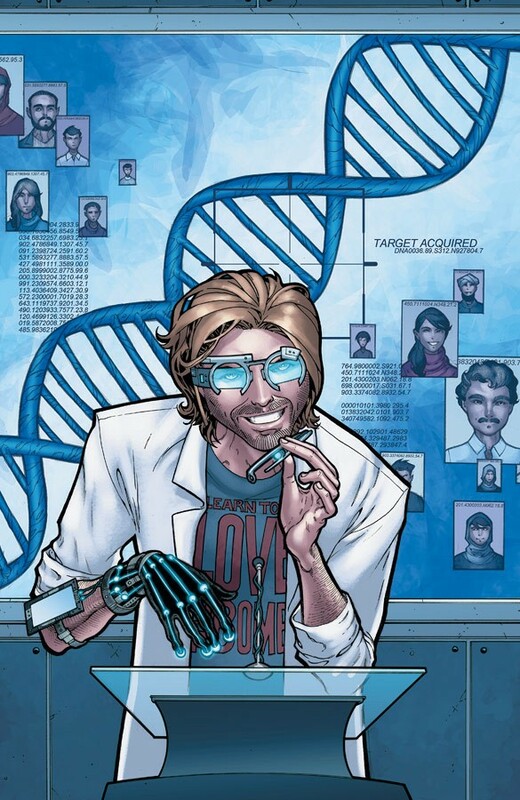 "GENETICS" Two months after the flashy and brilliant escape from the DARPA funded military think he used to call his home, slacker/genius Dr. David Loren has willingly returned to his lab to continue his work that he not long ago wished to be no part of. When a weapons designer loses his moral compass, who are the true victims of his creations? Collects THINK TANK #4-8 and THINK TANK MILITARY DOSSIER #1.